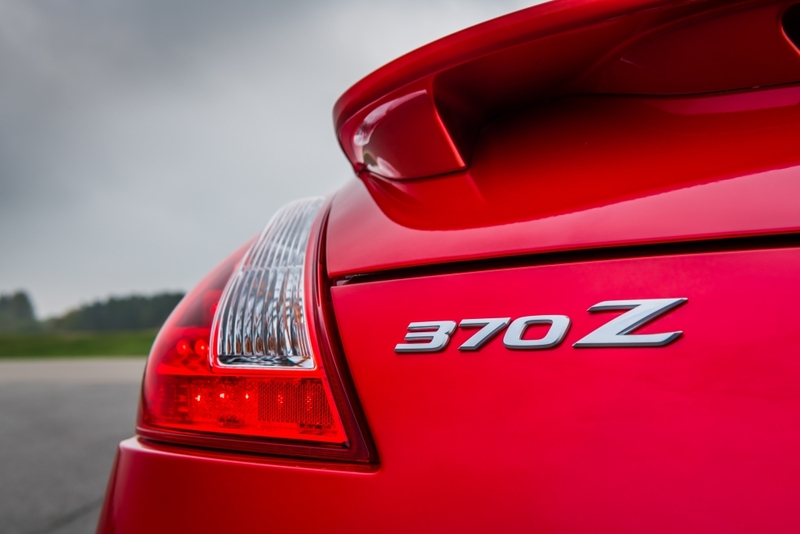 Can you believe the Nissan 370Z first hit UK roads back in 2009? The Black Eyed Peas were a thing, Slumdog Millionaire was hoovering up critic awards and the UK officially entered recession. It feels like an age ago, doesn’t it? In that time, numerous high performance hyper hatches have flooded the market, offering the sort of thrills previously only found in proper sports cars and a heady dose of everyday practicality that sees the Golf R, for example, used by executives on the daily commute. It’s easy to forget that something like the 370Z still exists but we urge anyone pining after some budget rear-wheel-drive shenanigans to walk into a Nissan showroom, push past the pile of SUVs and demand the dealer dust down the zed that’s parked up in a gloomy corner. This updated model gets new black door handles and a black rear bumper fascia, dark-tinted headlamps and rear combination lights, which were previously only available on the Nismo upgrade but now come as standard. 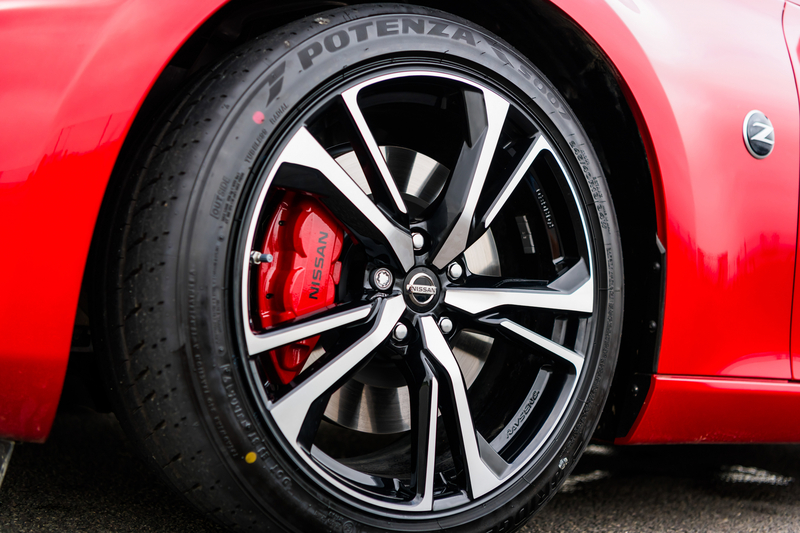 Naturally, customers can still jump up to a Nismo grade, which throws in a plethora of carbon fibre parts, a larger rear wing and upgraded parts that can handle a pummelling around the track. Fresh 19-inch alloy wheels are also thrown into the mix, as is a stunning new Infrared metallic paint option that brilliantly shows off the zed’s flared arches and swooping waistline. 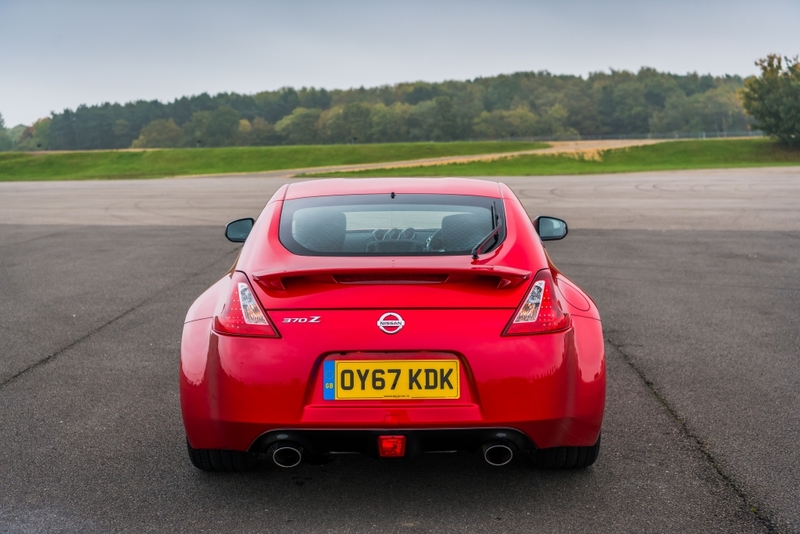 Take a long, hard look at this updated model and you’d swear the chaps over at Nissan HQ had updated more of the bodywork than they let on, but it’s merely the new paintjob revealing curves that had always been there. Inside, there’s the new NissanConnect Premium infotainment system, which features a seven-inch touch-screen, sat-nav, DVD player and rear-view camera, but really this is still the cracking driver’s car we know and love, just one that has been refreshed to rival the current crop of cars. 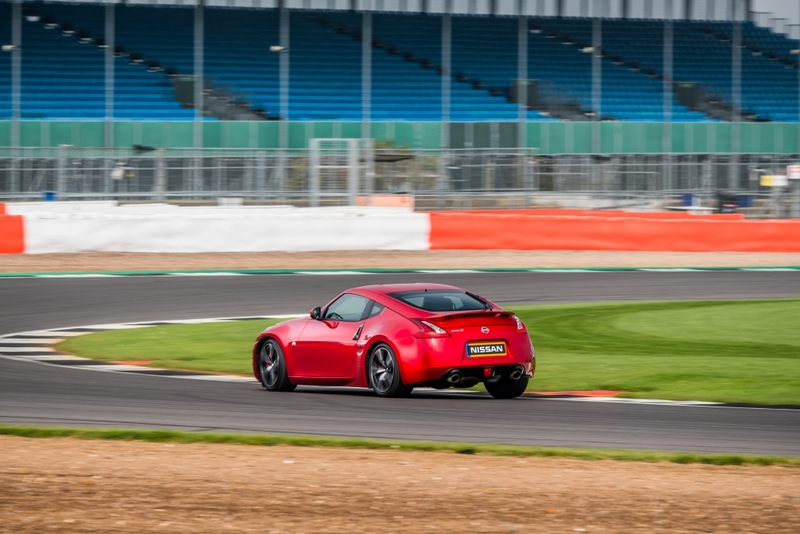 Silverstone might not be the UK’s most attractive race circuit but it’s a brilliant test of any rear-wheel-drive machine. It’s fast, long and slippery enough in the wet to scare even the most experienced drivers. 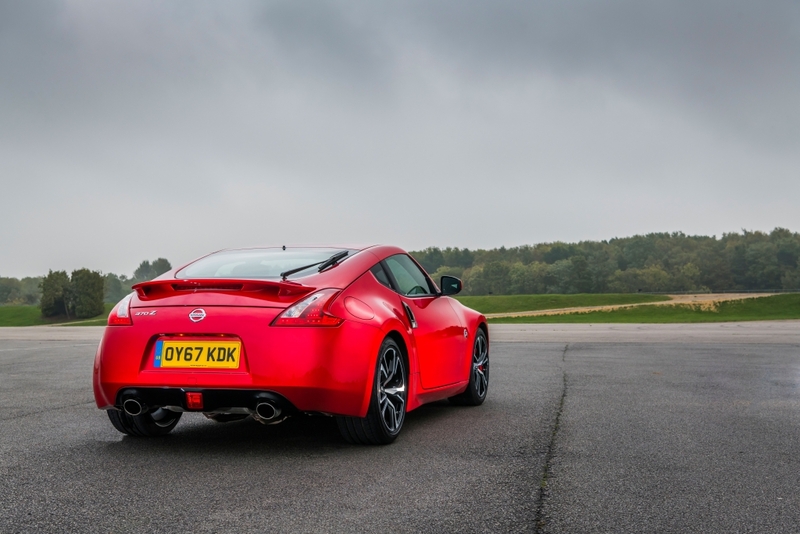 At this particular event, a MY18 GT-R and its Nismo big brother – formidable company whichever way you look at it – flank the updated 370Z. But it remains a superb example of a car that seems to have everything just right. The 323bhp 3.7-litre V6 remains untouched and provides enough power without overwhelming the superb chassis and suspension. The addition of a new, race-ready lightweight Exedy clutch makes shifts smoother, while the rev-matching technology that blips the throttle on up and down shifts for cleaner cog swaps ensures lap times are smooth and consistent. Although strong and perfectly powerful enough for road use, the brakes could do with being upgraded should regular track sessions be part of the ownership experience, but the Nismo model pretty much has this covered anyway. Admittedly, stepping out of a GT-R and clambering straight into the new zed probably wasn’t a great idea for this test, but once you get over the lack of power and pace, it rapidly becomes a lesson in car control and balance. 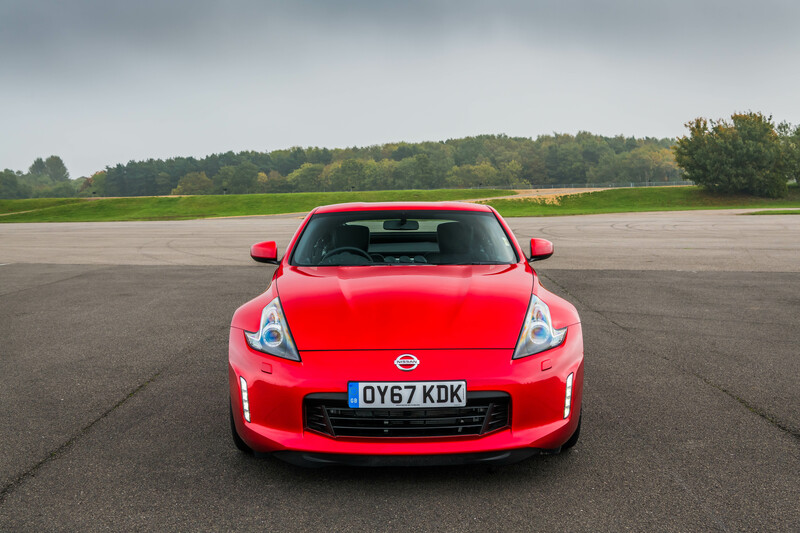 In that respect, the 370Z remains a formidable driver’s car, especially considering it costs less than £30,000 on the road. We distinctly remember being impressed with this car when it was released all those years ago and there still isn’t much out there that can compete in terms of bang for your buck. Yes, you could go for a Toyota GT86, but it will feel distinctly under-powered. Ditto with a Mazda MX-5. The Audi TT and Mercedes-Benz SLC will feel more premium inside and out, as well as offer a more relaxed and practical drive, but they will fail to deliver the thrills on the track. If anything, this refresh for 2018 is a simple reminder that the 370Z remains in a league of its own. Powerful, muscular but hilariously good fun, it’s well worth refreshing your memory on this easily overlooked classic. Can a light mid-life refresh keep us singing the seminal sports car’s praises?